"I knew you were crazy!" Magnolia Pictures has debuted the first official trailer for a film titled Lemon, from writer/director Janicza Bravo, making her feature directorial debut. This premiered at the Sundance Film Festival to mixed reviews, mostly because it's so wacky and weird that not everyone will be into it. But why not give it a shot? 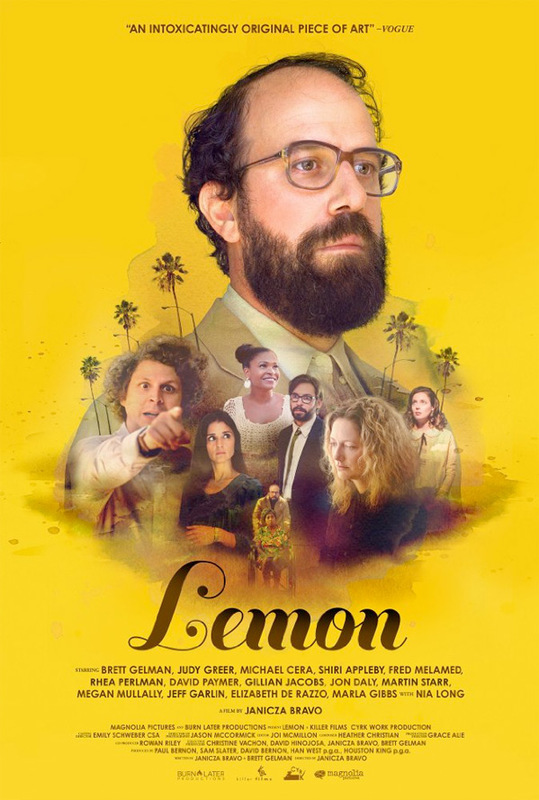 Lemon stars Brett Gelman as a man who watches his life unravel after he is left by his girlfriend of 10 years. The ensemble cast includes Judy Greer, Michael Cera, Shiri Appleby, Fred Melamed, Rhea Perlman, Gillian Jacobs, Jon Daly, Martin Starr, Megan Mullally, Jeff Garlin, Elizabeth De Razzo, Marla Gibbs, and Nia Long. I really don't even know what to make of this trailer - it doesn't seem that funny, even though it's trying hard to be funny. Maybe I'm just missing it? Take a look. Lemon: a person or thing that proves to be defective, imperfect, or unsatisfactory. Isaac Lachmann is a dud. Isaac Lachmann is 40. Isaac Lachmann is a man in free fall immobilized by mediocrity. His career is going nowhere. His girlfriend of ten years is leaving him. And his overbearing family doesn’t help matters. What did he do to deserve this? Things were supposed to work out differently for him. Isaac Lachmann had big dreams. Now he just watches as life unravels. Lemon is directed by up-and-coming filmmaker Janicza Bravo, making her feature directorial debut after making a number of award winning short films previously. The screenplay is written by Brett Gelman and Janicza Bravo. This film first premiered at the Sundance Film Festival earlier this year, and also played at the SXSW Film Festival. Magnolia will release Bravo's Lemon in select theaters + on VOD starting August 18th later this summer. Who wants to see this?